Are you wondering why you haven’t yet achieved financial freedom? There could be many reasons for this. Financial freedom is a much smarter way of organizing your finances than continuously swapping time for money - however, you must be willing to put in the time and work. You can’t just adopt one passive income strategy and expect the money to start pouring in. You should master one before you attempt to do them all at once, but you should be working towards multiple strategies that you like to help you achieve what you’re looking to achieve. Don’t wait for one strategy to bring all of your money in. Try another. 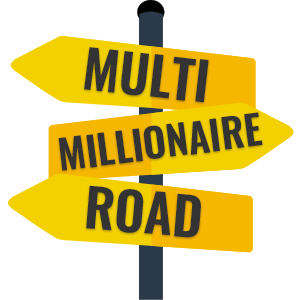 Even if you are using multiple passive income strategies, you need to be patient. You could be doing everything exactly right, and you’ll still need to wait for your ship to roll in. This is all about playing the long game. Paying off your debts is really important. Why? Because financial freedom is about creating money, sure, but it’s all about improving the rest of your finances - like improving your credit score. It also means being able to put spare cash aside for investments and ventures, and not have to use it to pay off huge interest rates. Hudson Weir and similar companies are worth a look if this is something you need to do. Healthy finances have more chance of becoming financially free. Living below your means is key if you’re going to become financially free. You need to know your numbers and your budget like the back of your hand and be committing to sticking to it. You can’t spend your money on things you don’t need all the time. You need to be frugal and think things through carefully. Financial freedom is a state of mind as much as it is anything else. You have to get your head in the right place before you can expect to achieve your dreams. Just watch and listen to people like Tony Robbins and Tim Ferriss; it’ll soon become clear that your mindset is essential. Financial freedom is not a get rich quick scheme. It takes most people years to become financially free - you must take it day by day, breaking it down into baby steps, and eventually, you’ll be where you want to be. Do you want this so badly because you believe that you’ll be happy when you get it? Think again. It can make your life easier, but you’ll need to find happiness in other things; your hobbies, your loved ones - when you don’t have money to worry about, life can feel a little weird!